The short story in this anthology was one of those submissions. I have read all these stories, and they blew my mind. This collection is a perfect example of what happens when you tell a bunch of creatives to rewrite someone else’s tale. Even if the original story is from the Bible. The Ten Commandments are pretty straightforward. Killing? Bad. Lying? Nope. Adultery? Don’t even think about it. But is real life really that straightforward? If you tell your boyfriend that you’re going golfing, when really you’re going out to cheat on him, is the lying or the adultery worse? What if you stab the guy you’re having an affair with? Isn’t being a murderer worse than being a cheater? I think the stabbing is worse than the lying and the cheating combined. So, it was kind of unfair for God to group killing, lying, and cheating all together under one umbrella. They all seemed really different. their dark god, who devoured the innocent souls sacrificed to him in eldritch rituals. 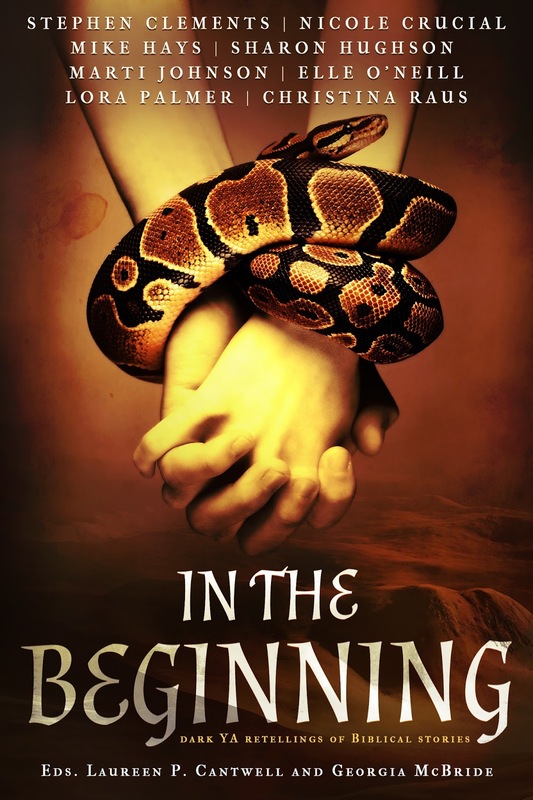 3 winners will receive an eGalley of IN THE BEGINNING, International. I like your title, “The Demon Was Me”. Catches the attention. As far as I’m concerned, it is the best piece of fiction I’ve written up to this point in my life. I hope it helps readers see that their lives are redeemable in Christ. Congrats, Sharon! I’m excited for you. Looking forward to reading your story! Thanks! I’m super-thrilled with all the stories in the anthology, and think mine is the best thing I’ve written. I hope you enjoy them all!